Branded residences first evolved through the partnership of luxury residences with hospitality brands, where the brand name of a hotel is licensed for use on the residence. The hotel operator may also form a more intimate alliance with the developer to provide a full range of services and activities, which are usually available to hotel patrons. In light of new entrants in the market, the meaning behind branded residences has taken on an expanded definition in recent years. By marrying residential real estate with luxury fashion brands, jewellery and automotive brands, new forms of branded residences have evolved. Branded residences are unlike hotel residences. Hotel residences are usually hotel rooms that have been set aside for sale by the developer on a sale-and-lease back agreement. Hotel residence hence, is an investment product and the owner has limited use, for example, four weeks in a year. For the rest of the year, the hotel operator leases out the unit and the income will be shared with the unit owner. A hotel-branded residence, on the other hand, is either a stand alone residential development that owns the right to be associated with the hotel brand for a period of time, or as part of a mixed-use development which comprises a hotel (the same brand it is associated with), the residence and other uses such as a retail mall and/or office tower. Both hotel-branded residences and hotel residences are managed by the hotel, allowing residents to benefit from the use of hotel services, facilities, amenities and security. Investors are typically attracted by these qualities as well as the prestige and recognition associated with the trusted hotel brand. With the luxury status accorded to a branded residence, it is usually able to to fetch a premium above non-branded prime residential developments. The branded residences concept is believed to have started as early as the 1920s with Sherry-Netherland Hotel in New York which successfully operated its serviced apartments alongside. However, it was not until the 1980s when The Four Seasons Hotel successfully sold its Four Seasons Place condominiums that the prestige of brand association became significant. 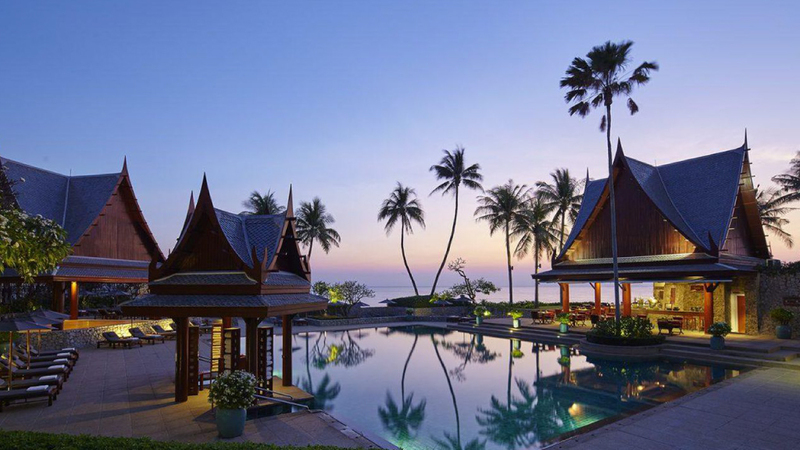 In Asia, the branded residence concept took off in 1988 when the first Aman resort, Amanpuri in Phuket, was launched. The private residential villas were originally launched below US$1 mil (28.8 million baht). Today, latest figures indicate they are valued in excess of US$10 mil. The Aman brand itself has also expanded internationally, with 33 properties worldwide today, making Amanpuri a true global branded residence. Although branded residences have been around for nearly a century, it was only since the 1980s that the hotel branded residences market has grown significantly. Fueling demand is a confluence of factors such as increase in population of high-net-worth (HNW) individuals worldwide, growing wealth in emerging markets, evolving consumer trends and an elevated desire to live in mixed-use communities with a rich offering of amenities and services. The acquisition of Starwood Hotels & Resorts by Marriott International in 2016 brought together 30 leading hospitality brands. With this, Marriott’s global footprint has more than doubled in Asia and the Middle East and Africa combined. The Branded Residences report released in September 2018 states that North America is the largest market for branded residences with a 32% share, followed by Asia Pacific at 30% and Europe at 13%. 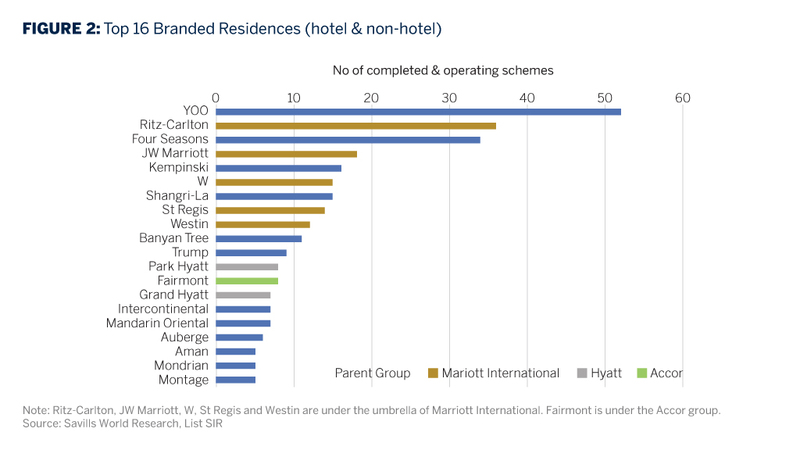 Among the brand operators, Marriott International, through the brands of The Ritz-Carlton, St. Regis, W Hotels, The Luxury Collection, EDITION, Bvlgari and JW Marriott, has the largest portfolio worldwide (Figure 1). The Branded Residences report mentioned that there are some 406 branded residence schemes accounting for a total of 55,000 residential units. Interestingly, the largest individual brand by the number of schemes is not a hotelier, but YOO, a brand built on design credentials. 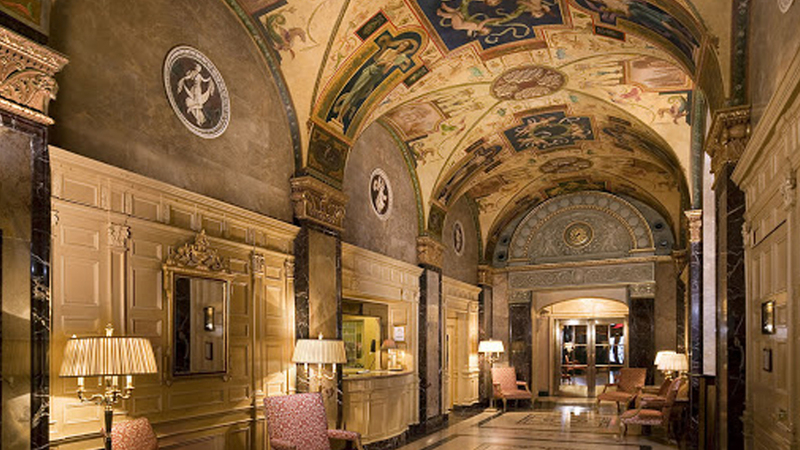 The Ritz-Carlton takes the second place while Four Seasons comes in third (Figure 2). In Southeast Asia, following the success of Amanpuri, the launch of Four Seasons Chiang Mai in 1995 introduced Thailand’s first branded residences in collaboration with an international hotel chain. 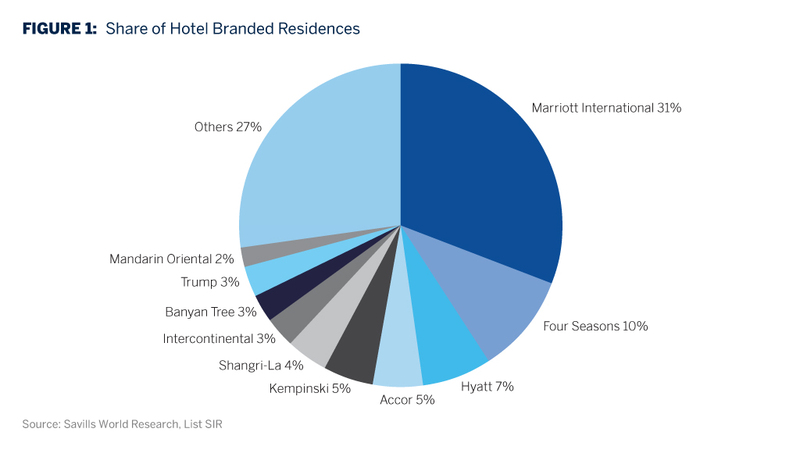 Over the past two decades, branded hotel chains continued to develop and has remained the most dominant form of branded residences in the region (Figure 3). 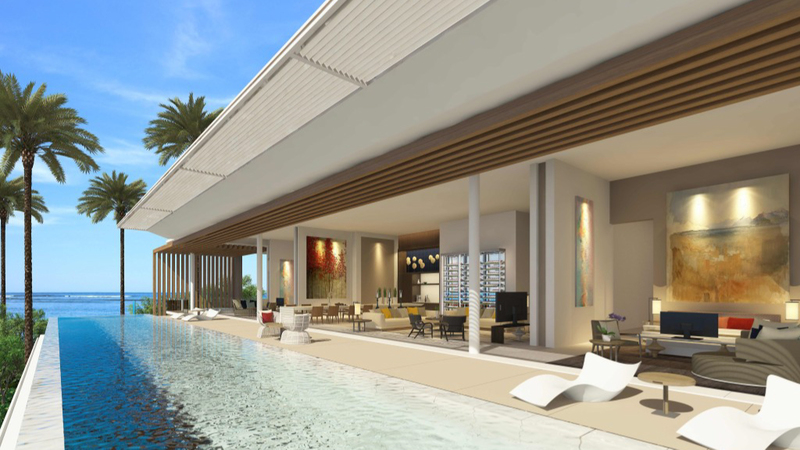 Two of the upcoming branded residences are The Residences Mandarin Oriental, Bali and YOO8. The Mandarin Oriental hotel and residences will occupy approximately 5 percent of the 150-hectare piece of property that makes up Bukit Pandawa Resort & Golf. The entire development is situated at the southern tip of Bali, on a clifftop that offers a breathtaking view of the Indian ocean. Estimated to be completed in 2019, it will comprise an 88-room hotel and 91 standalone villas which form The Residences. With prices beginning from US$650,00, each villa ranges from 180 sqm to over 1,800 sqm in size and comes with a full sized pool. Tower B has 498 branded residential units. The strong growth of hotel-branded residences did not go unnoticed by the worlds of fashion and interior design, two markets closely associated with luxury homes. In recent years, there had been numerous partnerships between outstanding fashion designers and established homeware brands, who thrived on consumers hungry for a complete lifestyle experience. The branded residence sector is experiencing a renaissance as developers attempt to reinvent the concept of the residential development by marrying the best of hotel and other services into a residential project. This ingenuity appeals to savvy buyers who are looking to buy into the latest trends. The key selling point for a branded residential property is the trust associated with buying a well-known brand. For some, the known brand gives confidence in the delivery of the development and its ongoing management. For others, the design aesthetic of a branded luxury development is the main draw. Ultimately, the goal is to curate and allow their customers to experience and live the brand values. The fashion brands which caught on include Armani, Bvlgari, Hermès and Versace. These brands are usually involved in the design and fit-out of the apartment or villa with home furnishings that are unique to them. Fashion brands are not involved in the ongoing management of the branded residence but will offer residents the exclusivity and experiential lifestyle accorded to the brand. For example, in addition to the privileged access to all services of Bvlgari Hotel, residents of Bvlgari Residences will enjoy the exclusive services of an art curator, personal shopper, personal trainer, wine sommelier, florist and an image/public-relations consultant. In the past decade, real estate developers have also been collaborating with elite car marques to mastermind residences that allow buyers to enjoy elements of their favorite luxury auto brands, even when they are not on the road. This shows that the high-end automotive world has stepped up to the forefront to think beyond four wheels and an engine with a view to provide their customers with “lifestyle packages” that reflect the image of what they choose to drive. The Porsche Design Tower in Miami has a specially-designed lift that whisks the luxury car to where the apartment is and doubles up as a glass display case for the owners’ prized automobiles. The development also offers a Car Concierge service for residents to carry out regular maintenance, car wash and tyre rotations for their fleet of luxury cars. 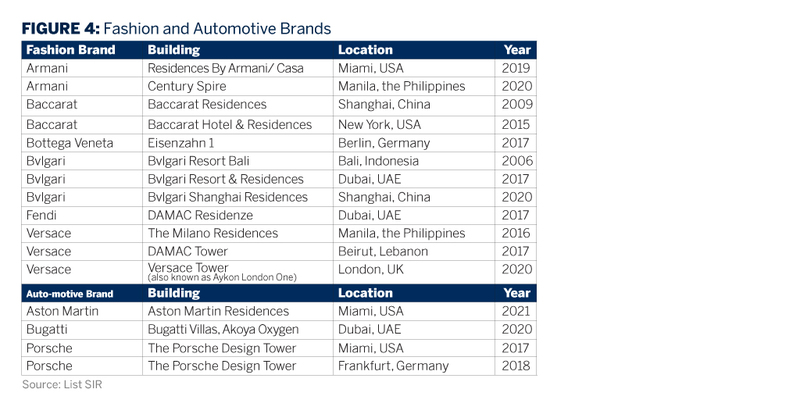 Figure 4 lists some of the branded residences which are associated with fashion and automotive brands. Another interesting collaboration is one initiated by lifestyle magazines. In 2003, Esquire magazine was looking for a way to organically integrate their advertisers in a way that will lift their products off the page and into a real-life environment so guests can experience them. The Esquire Apartment has since become an annual collaboration between Esquire magazine and world famous interior designers as well as other global brands to create the ultimate experience of a luxurious lifestyle. 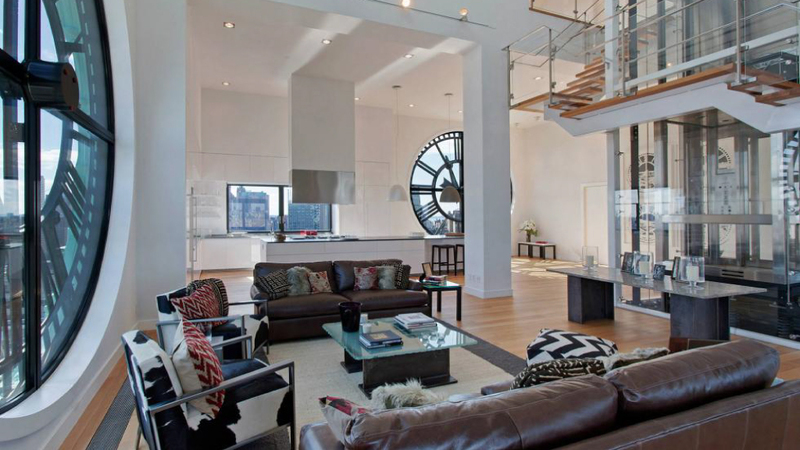 One of the high profile projects by Esquire is the 2011 Esquire Ultimate Bachelor Pad in Brooklyn’s landmark Clock Tower. This is a 6,813 square feet triplex apartment which has an open-concept living area, 11.5 rooms including three bedrooms, four baths, a recreational space, sky-roof cabana and open deck which offers spectacular views of New York city - from the Verrazano Bridge to the Empire State Building. Each room represented a variety of lifestyle touchpoints for the 21st century man as seen through the eyes of some of the most talented interior designers in the industry, including Shelley Starr for Hugo Boss (Great Room) and for Don Julio (Tequila Bar), Campion Platt for Ermenegildo Zegna (Master Bedroom), Denise Kuriger for ASICS (Home Gym), Marc Thorpe and HUSH Studios for Acura (Study), Luxurious Animals and Poltrona Frau Group for Lufthansa (Digital Loft), SFA Designs for Conrad Hotels & Resorts (Rooftop Terrace), and Brooks Atwood of POD Design+Media (Esquire Bar). The apartment was sold in early 2017 for US$15 million, setting a new record for the borough’s condo market. Even though the Bachelor Pad was sold five years after the campaign period was over, the publicity it received as an Esquire Apartment left a lasting impression in people’s minds. A brand is a stamp of quality recognised and cherished by buyers, whether it is a hotel brand, an automotive brand or a fashion brand. Brand-awareness means that the residential property enjoys greater recognition and a wider target market. Location is key, which is why branded residences are usually located in prime residential enclaves or resort destinations. Other important drivers of the price of branded residences include the limited supply, first-class facilities and high-quality services offered, the professional property and rental management, and the environment of like-minded people. As such, buyers and investors are willing to pay a premium for a branded residence. It was estimated that a branded residence achieved an average premium of 31%. This premium is optimised in less mature or emerging property markets where local supply cannot sufficiently cover the needs of HNW buyers. 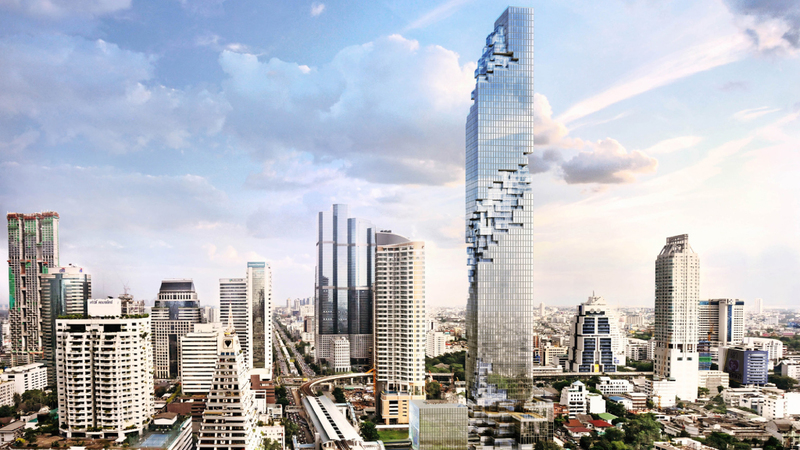 For example, the current prices of The Ritz-Carlton Residences in Bangkok was purported to have fetched a premium of 80% or more compared to a non-branded development in the vicinity during its launch. In Europe, premiums for branded residences in resort locations range from 20% to 45% even though the take-up rate is slower compared to non-branded developments. Over in Dubai, the premium stands at 38% and in Miami, 32%. However, lower premiums are achieved in more matured markets where luxury stock is already of a high quality. For example, buyers in London can expect to pay a smaller premium of just 8%, and in New York, some branded residences have to offer discounts up to 15% to effect a sale. The branded residences model offers great benefits for both developers and investors. The right brand affiliation can significantly boost sales prices, lifting the developer’s profit margin. The benefits to private investors differ depending on their motivation, be it value creation, bespoke unique services, distinguished design or the assurance of security, prestige and hassle-free holidays. For a brand to make a successful foray into real estate, the brand must translate clearly and recognizably into the project. it has to be one “that people associate with not only luxury but a certain type of lifestyle that people can relate and aspire to,” said Jon Paul Perez, vice president of Related Group. For a branded residence to become a reality, the partnership has to be chosen with care. Beyond the glitz and glamour associated with branded residences, there are several obstacles that could potentially affect the viability of such developments. Prized as a project that is an expression of grandeur, the expectations for the quality of the end-product – be it the design, finishing, facilities, amenities or the services provided – are extremely high. The inclusion of the brand name adds another level of depth, as investors would have preconceived notions and expectations associated with the brand. When considering branding a scheme, developers will carefully balance the potential benefits against all costs and expenses that they will have to pay. These include royalty fees, annual license fees, service charges, construction and the cost of furniture, fixtures and fittings. In addition, developers have to cater for other conditions set by the brand provider such as development phasing and ongoing management and asset enhancement to ensure that the standard of services and facilities are in keeping with the brand. Part of these costs will be passed on to investors through the property price and the regular monthly maintenance fee. Another potential hurdle would be the challenge of retaining the ability to command a premium for such projects. Part of the appeal of branded residences is the ability to garner greater capital appreciation compared to a regular luxury residential project, due to the brand name affiliated to it. However, with more branded residences mushrooming, it will escalate the competition in the market. New projects will have to set higher standards in order to keep abreast of these challenges and remain relevant. The absorption rate of a branded residence will depend on the developer’s sales, marketing and pricing strategies and the number of units it released to the market. Finally, for older branded residences to maintain premium pricing in the secondary market, it will fall on the responsibility of the developer/ brand operator and the investor/ owner. The developer/ operator is responsible for the upkeep and maintenance of the building and facilities, as well as the high-quality services. The investor/ owner has the responsibility to ensure that the interior of the residences is also in keeping with the brand standards. With these in place, a branded residence will be less susceptible to wear and tear over time compared to a regular luxury residence. 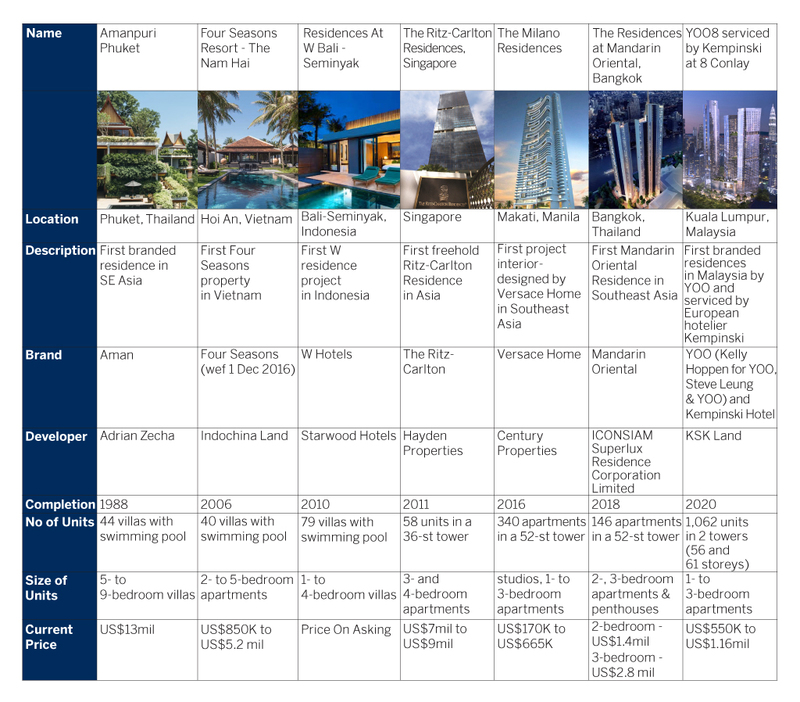 Readers who are interested to find out more about models of collaboration between developers and brand operators, as well as the different perspectives held by developers, operators and investors, may wish to refer to Branded Residences: Unlocking the Synergies by Withers Worldwide (https://on.listsir.sg/brandedresidences). The burgeoning growth of HNW individuals is expected to drive the expansion of branded residences as they search for comfort, security and quality. Wealth data specialist Wealth-X predicted that the number of people who own more than US$500 mil in assets will grow by nearly 40% by 2022, on the back of strong economic growth and rising asset prices. Numerically, it means the number of “demi-billionaires” worldwide is expected to balloon from some 6,900 in 2017 to 9,570 in 2022. Of this number, 3,000 are reportedly based in Asia, solidifying the region as a wealth hub in the coming years9. 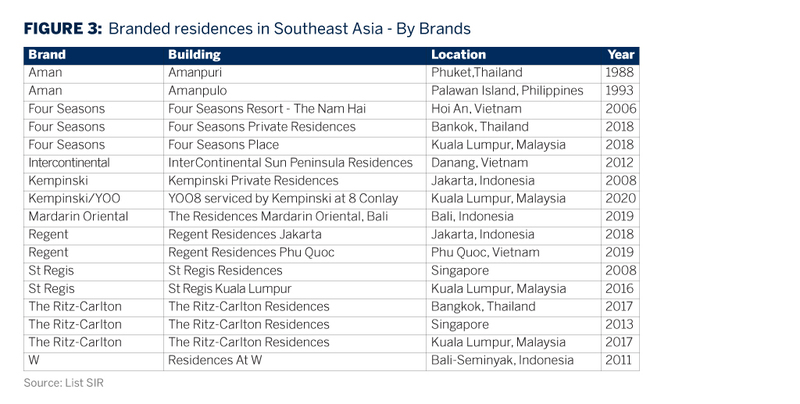 It is thus not surprising that currently, the bulk of branded residences under construction, estimated around 27%, are located in the Asia Pacific. 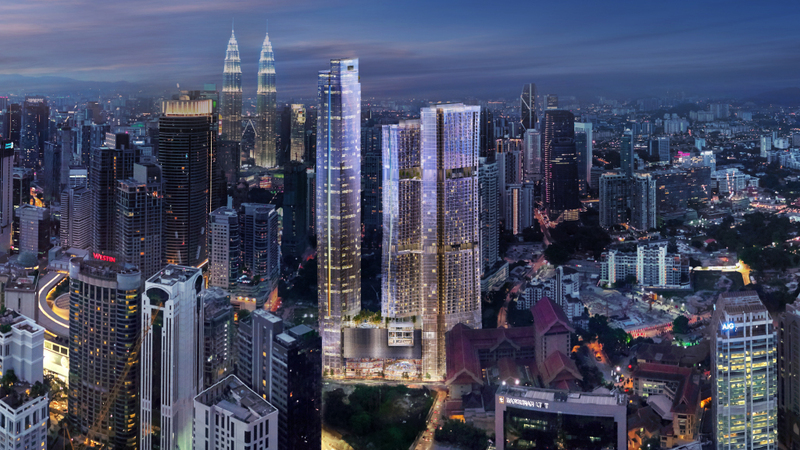 These include Four Seasons Private Residences in Bangkok, YOO8 serviced by Kempinski at 8 Conlay in Kuala Lumpur, Armani brand Century Spire in Manila and Banyan Tree Residences Brisbane to name a few. We can expect a rise in demand for branded residences in Asia Pacific in the coming years. There are intrinsic qualities in a brand name that will enable branded residences to remain highly valued in the long term. For one, there is less risk of the building deteriorating through age because it is in the interest of the building management to continue to invest in the scheme and to ensure its success. Then of course, there are the bragging rights that is a key driving force for buying in this highly exclusive market that is currently seeing a growth spurt. What counts is to buy something that one cannot recreate. To the HNW investor, a brand affords that added bit of distinction for him to brag about owning something someone else wants, but only a limited number can do so. 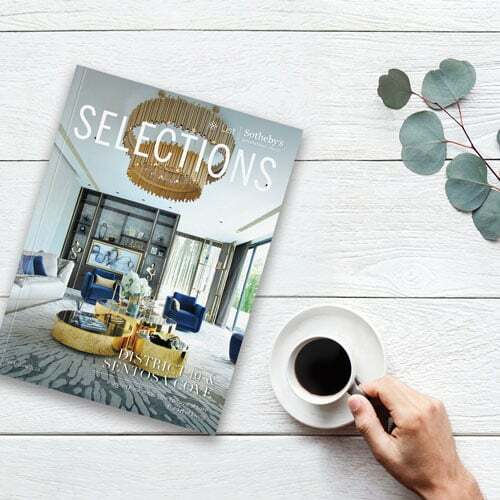 As the branded residences market grows and expands across the continents, and with higher consumer expectations, developers and brand operators will continue to differentiate their product in order to be able to attract investors. Other than the collaborations with fashion and car brands, we are seeing a growing reception towards spa and wellness resorts. Spas are seen as a part of the wellness industry. The term “spa” is an abbreviation of “sanus per aquam” which means “health through water”. Spa, as an oasis of relaxation, offers its visitors a wide range of services starting from various cosmetic treatments such as manicure, pedicure, body exfoliation to body care through treatments with natural substances. A wellness centre provides services for fitness, bodywork, educational classes, trauma treatment, rehabilitation and nutritional programmes,. A person goes to a wellness resort to achieve a particular objective, ranging from weight loss to improving fitness, recalibrating one’s lifestyle or adapting a healthier routine, and kicking off addictions like smoking. Canyon Ranch and The Golden Door in the US and Thailand’s Chiva Som are some of the brands which are at the forefront of establishing the concept of wellness resorts while brands like Aman, Banyan Tree and Six Senses are well known for their spa treatments. Canyon Ranch provides a comprehensive professional approach with a team that includes registered dieticians, board-certified physicians, exercise physiologists, licensed therapists and other highly skilled, caring staff to enable guests to meet their objectives. This same programme is available at Canyon Ranch Residences at Bellefontaine where condo units are sold to investors. 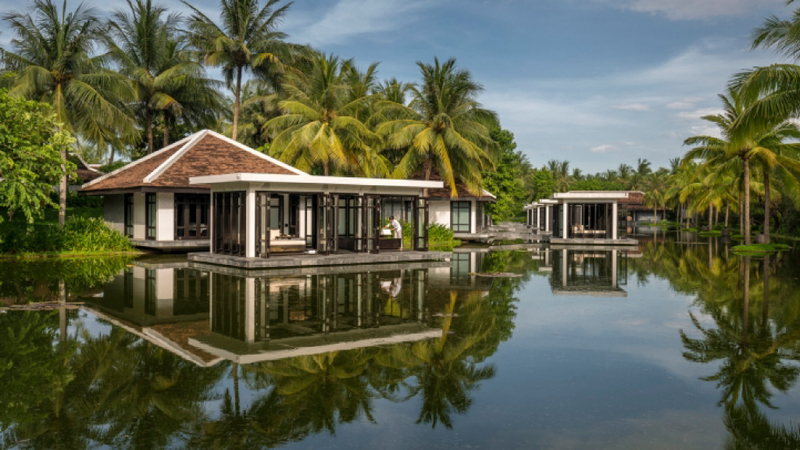 Chiva Som is currently developing Chiva-Som Residences Bintan in Indonesia which offers investors an opportunity to invest in health with its uniquely designed longevity programmes and customised packages including consultations with wellness experts. The branded residences of tomorrow look set to provide more than luxury living in style. They are becoming a true destination with a defined purpose, where time and money are invested in one’s own health and well-being.